Serving genealogists for 43 years! objectives and purposes of the Society are educational. It is devoted to furthering genealogical research and promoting interest in family history in the central Missouri area. Persons interested in the Society and its objectives are encouraged to join. OUR LIBRARY Regular Hours: Wednesday thru Saturday, 11:00 am to 4:30 pm. (Closed on Sundays) We are proud of our library and encourage you to visit us when in the area. If you cannot visit, we do offer look-ups from the holdings in our collection. Please contact us ahead of time, if you are traveling a long distance to visit our library. Hours and available volunteers are subject to change. Membership Benefit update: Current members now have digital access to ALL past issues of The Reporter, published 1981 to the present. Please log in to Members Only area to access these. Members receive a bi-monthly newsletter by email and four issues of the Quarterly Reporter by postal mail each year. RESEARCH REQUESTS We are pleased to conduct brief research, for a small fee, using the holdings we have in our library. For more information please click here. We welcome anyone with an interest in their family histories to become a member of GSCM. To download our printable membership brochure, click here. Unless otherwise indicated, meetings are regularly held at the Boone Electric Cooperative Community Room on the first Tuesday of the month. Meetings generally start at 7:00 p.m. and include a presentation or discussion that lasts until around 9:00 p.m. Located south of I-70 and north of Business Loop 70 at 1413 Rangeline Street on the west side of the road. (Use the parking lot on north side of the building). This location is for the monthly meetings ONLY. 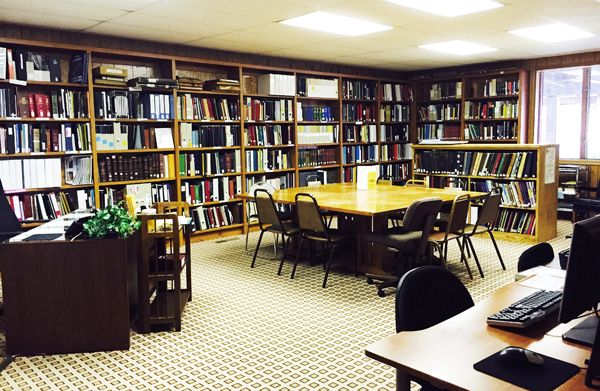 If you wish to research at our Genealogy Library, please go to the 3801 Ponderosa Street location, at the Boone County History and Culture Center. Your regular attendance and participation will make our society more useful and enjoyable to you and all other members! Bring a friend! To provide improved public access to information from central Missouri counties which is currently inaccessible. To educate membership in the use of technological advances pertaining to genealogical research. To improve the out-reach services to members; i.e., queries, information, assistance. 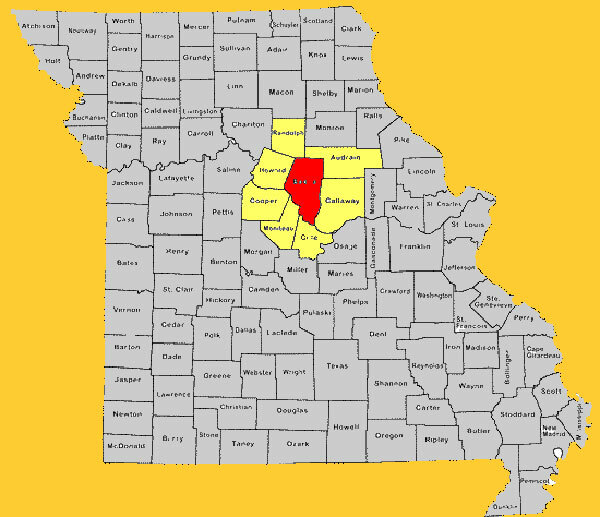 To seek out information on central Missouri counties which is currently unavailable. To cooperate with existing central Missouri historical and genealogical societies in the compilation of information. To maintain and expand a library of research material sufficient to meet the needs of researchers. Thank you to our web administration team members: Nancy Waller Thomas and Thresa Chism. These members have been trained by EasyNetSites to manage all modules of our website. The Bur Oak Tree, shown in our website banner, is the oldest known tree of its kind in Missouri. It is estimated to be 350 years old and is located near McBaine, Boone County, MO. The photo was taken by member Thresa Chism.